At the BCEC, delicious food is always right around the corner. Levy Restaurants, the BCEC’s award-winning culinary partner, takes great pride in the quality and selection of the food they offer. 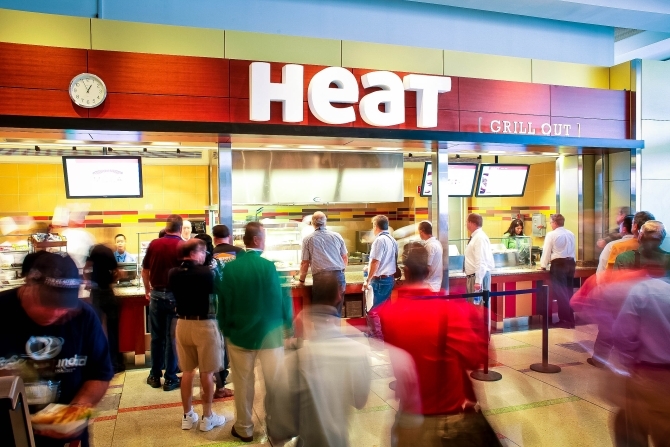 Whether you are looking for a quick snack or a tasty lunch, you have great choices at the BCEC. Gluten-free, vegan, vegetarian, and nut-free options are also available. The Wicked Good Market offers heartier fare for every appetite. Different stations offer a variety of cuisine, from healthy salads to customizable Asian bowls and build-your-own burritos. You can even enjoy a taste of Boston’s North End with brick oven pizza or a heaping bowl of pasta. 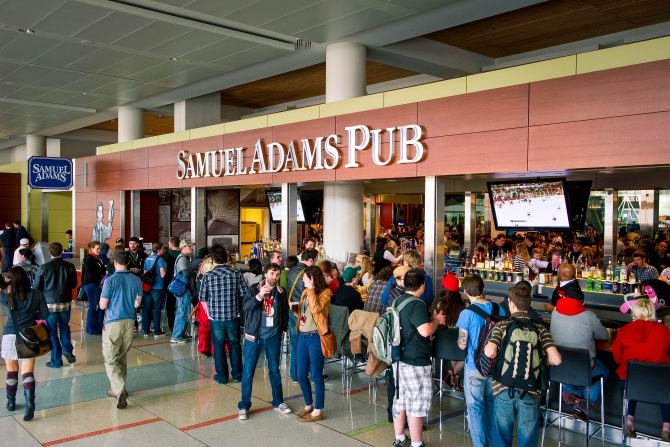 The Sam Adams Pub, named both for our notable American forefather as well as the deliciously refreshing and famous local brew, is located within the Wicked Good Market. The pub is the perfect place to grab a drink and dine on traditional Boston fare such as fresh New England lobster rolls, beer-battered fish and chips, and local draft beer. 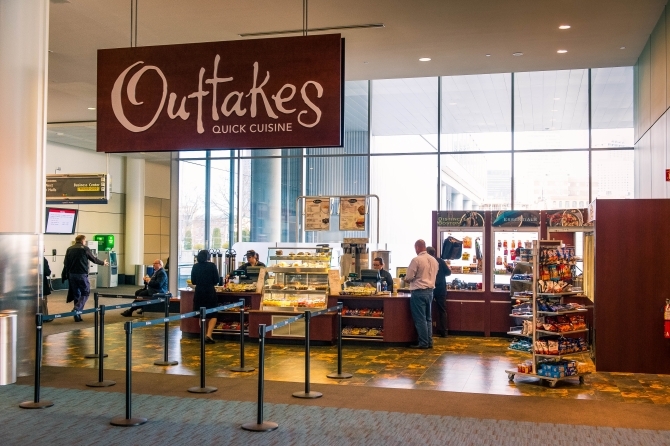 Outtakes Quick Cuisine offers packaged sandwiches, pastries, freshly brewed New England Coffee, snacks, and even sundry items and souvenirs. With convenient locations in the North Lobby and throughout the building, attendees won’t miss one minute of your event! The BCEC’s new Lobby Lounge is the place to see and be seen at your next meeting. 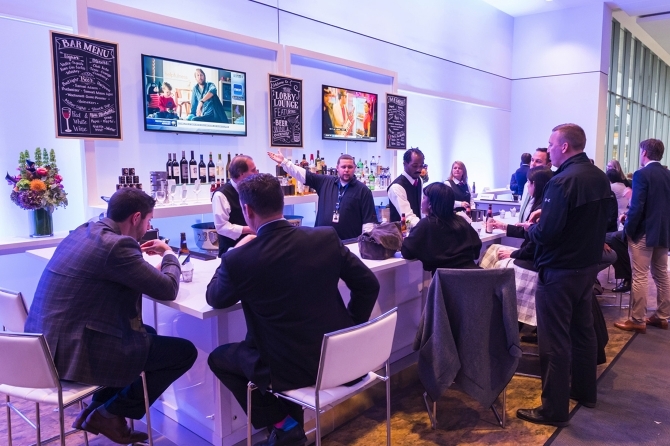 Located on the northwest side of the North Lobby across from the FedEx Office, stop by and try one of several local craft beer offerings or let us mix you a hand crafted cocktail while you wait for your colleagues, catch up on e-mail, and network with the captains of your industry. Specialty offerings are added each day. We can’t wait to serve you soon!